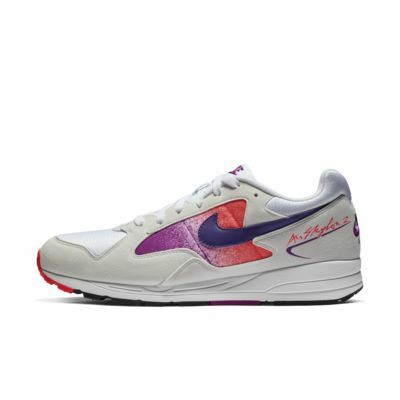 A modern update to the 90s original, the Nike Air Skylon II Men's Shoe features lightweight Air-Sole cushioning and a combination construction for breathable comfort. 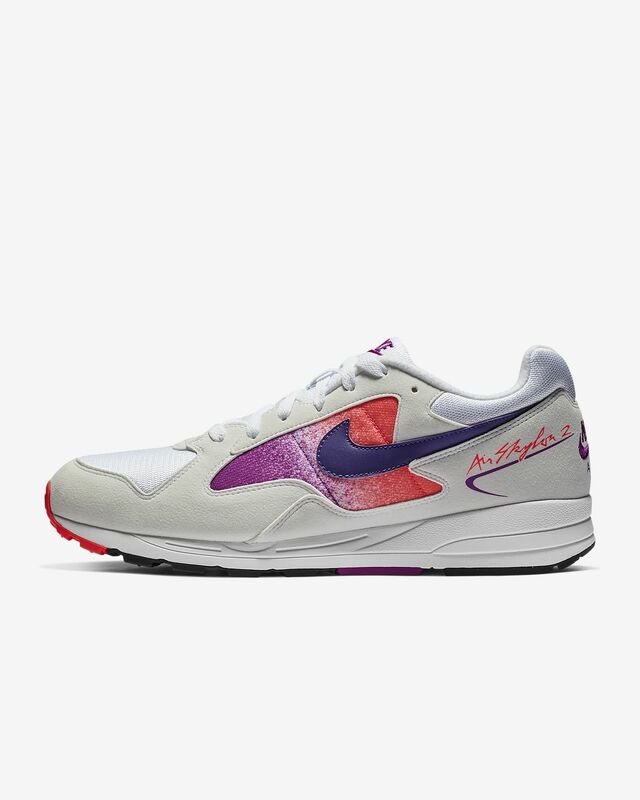 A modern update to the 90s original, the Nike Air Skylon II Men&apos;s Shoe features lightweight Air-Sole cushioning and a combination construction for breathable comfort. I ordered the blue / red color scheme and loved it so much i went back and ordered the black color scheme as well! Super comfortable and the shoes look great in my opinion. Nike really hit it with this retro look. I ordered a half a size smaller then I usually do and they fit just right. Looks great on feet, bout time they received a retro! just to start off, these run small so go a half size up but other than that these look great on feet and I have received a fair share of compliments on them. Glad these finally saw a retro, look forward to additional colors!